I have used Adobe Photoshop on and off for many years for photo editing. It is an incredibly powerful tool for photo-editing that offers limitless opportunities, but that is part of its problem. You can easily spend an afternoon working on a single photograph to get it perfect. And because I did not use it regularly often I did not use it in the most efficient cleverest way. I also used Apple Aperture for managing my photographs but found it awkward to use not least because of the opaque library it uses in a similar way to how iTunes manages songs. 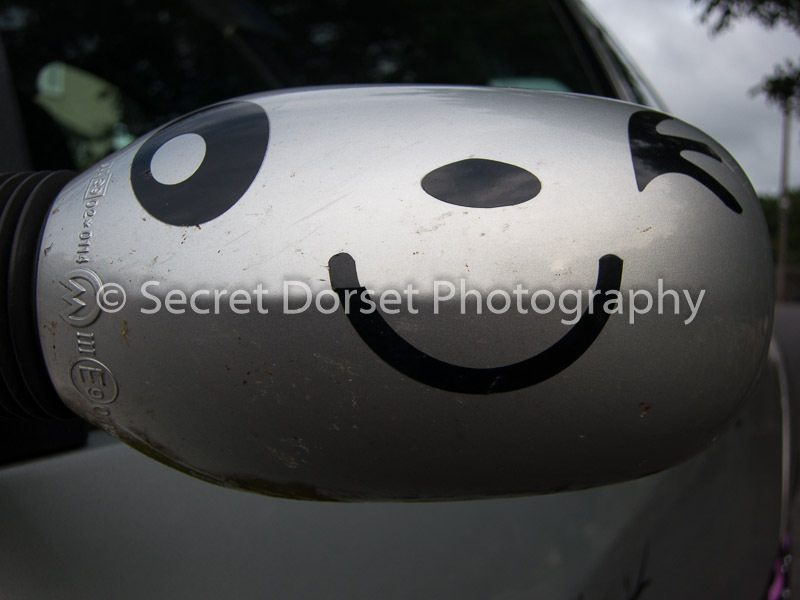 But then I discovered Adobe Lightroom - at first it replaced Aperture offering a much clearer way of managing my photographs and making simple adjustments such as contrast and exposure and white balance. But then as I delved into it I found almost everything I used Photoshop for could be done in Lightroom , and it was more obvious what to do and the results were often better. One particular aspect of Lightroom that I love is that instead of having to use layers to ensure I dont modify the original photo I do not even have to think about it, Lightroom never modifies the original photograph instead all changes are written to its catalog and can be undone. And I never have to think about working colour profiles either, I only have to worry about colour profiles when I export the photograph for use in another application or print. I still use Photoshop because it can do things that Lightroom cannot, but most of the time I just Lightroom. So why am I telling you this in the jthink blog ? Secondly, because the analogy between Lightoom and Photoshop is very similar to how I feel about SongKong and Jaikoz. Jaikoz development started in 2006 which coincidentally seems to be when Lightroom development began. But in this story Jaikoz is more analogous to Photoshop, from the start it has added manual editing and automatic matching . There are more than one way way to do some tasks and I have also been receptive to user enhancements requests to try and solve every possible problem. I think Jaikoz offers more comprehensive tagging than any other music tagger on the market. SongKong is only two years old, the aim was to provide powerful automated matching with a clear workflow for the user. SongKong does not offer manual editing and never will, there are now many tools to do that. SongKong does not try to emulate all of the Jaikoz automated matching functionality just the most useful stuff. 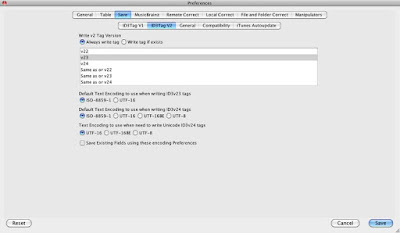 For example MP3s support three versions of the ID3 tagging standard v22, v23 and v24, and Jaikoz supports saving with all three versions. But nobody uses v22 anymore, everything supports v23 and many applications now support v23. So SongKong just supports saving v23 and v24 we have lost a tiny bit of functionality for more simplicity, nobody has complained about this so far. Now lets try to stretch the analogy to Photoshop layers . Unlike many other tag editor tools Jaikoz doesn't save changes as they happen instead everything is done in memory and can be reviewed before the modifications are saved. This is much safer but it does put the onus on the user to check the modifications, and can mean a delay if many file need to be saved at the end of an editing session. With SongKong I wanted to remove this burden from the user, but just having SongKong making changes without the user having an opportunity to reverse the changes was dangerous. So instead all modifications are written to SongKongs database similar to the way edits are written to Lightrooms catalog. Unlike Lightroom the files are modified as well but because the changes are written to the database they can be undone at a later date, no problem. These days my first point of call for cataloging my music is SongKong, I then use Jaikoz for songs that SongKong fails to match plus for special tasks such as exporting metadata to a spreadsheet. For my photographs I need both Lightroom and Photoshop but I get much more use out of Lightroom. For my own music I need both SongKong and Jaikoz but songs always go through SongKong first. What's the best lossless format? Most of us know that generally lossless is better than lossy because it retains all of the audio and therefore sound better, and you can also convert form one lossless format to another without losing any sound quality. Lossless does require significantly more disk space but his doesn’t mean you have to reduce the amount of music stored on your iPod, iPhone or mobile device. For example iTunes allows users to convert higher data rate music files to 128kbps AAC on the fly as the music is synced to the mobile device in question. But what Lossless format should you choose ? WAV files originally did not support metadata, there is now defacto support using ID3v2 - the same format that is used by Mp3s. However not all players and tools currently recognize ID3v2 metadata in Wavs. AIFF was developed by Apple and is very similar to WAV. Again it is capable of storing uncompressed Linear PCM audio. Ripping a CD and storing it as uncompressed AIFF results in “bit perfect” storage with the ripped music file identical to the original data on the CD. Like WAV files, AIFF files can also store high-resolution music files at high bit depths and sampling rates. AIFF uses ID3v2 like Wavs and Mp3s. ID3v2 metadata is within Aiff is much more widely recognized - notably it is properly supported in iTunes. This is a newer Apple file format option that employs lossless compression, which reduces the stored data to as little as half of the original music file’s size but restores bit-for-bit identical to the original music file on playback. The process is not unlike a zip file in which a large amount of data is “zipped” down to a smaller file size for storage and “unzipped” to its full size when opened. There is discussion about whether uncompressed music files such as WAV or AIFF can sound better than lossless compression formats like Apple Lossless or FLAC because they don’t require the additional step of being “unzipped” and restored to their original PCM data package during real-time during playback, but this difference should only be noticeable in older and slower hardware. FLAC is an open source lossless compression format similar to Apple Lossless Compression, this reduces the stored music file’s size, but then restores the data package bit-for-bit identical to the original music file on playback. It supports high-resolution audio with greater bit depths and sample rates and also supports metadata tagging using Vorbis Comments. The main problem with FLAC is that although it is an extremely common and accepted format, it is not supported by iTunes and Apple hardware such as the iPod. I would love to recommend the open source FLAC format but because of its poor support in the Apple ecosphere I don't think it is currently the best choice, particularly since Apple punches above its weight when it comes to digital music. Although Wav audio format is well supported, support for its metadata is poor so again I would not recommend Wav. So we are left with two Apple formats. With Apple Lossless we get a smaller filesize and good metadata support, with Aiff we get a larger filesize but even better metadata. Both are well supported on Apple and non Apple hardware and software. The ID3v2 format used by Aiff format has been around a long time (because used by Mp3 as well) and although it is a little unwieldy it is well understood and very powerful, the metadata format used by Apple Lossless is not as well understood or flexible. Jaikoz 8.4.0 now supports reading and writing metadata to Aiff and Wav formats ! Aiff and Wav formats each provide an uncompressed lossless format for your audio and were created in 1988 and 1991. However until more recently there was no agreed way to store anything but the bare minimum of metadata, this is why we originally didn't add support within Jaikoz. The other reason was these formats were expected to die out and be replaced with newer formats but although they are less prevalent then before this has not happened. However we revisited these formats and discovered that defacto support for Aiff tagging and Wav tagging now existed using an ID3v2 chunk, just like MP3 files. Because they use ID3v2 they can now store all the metadata that Jaikoz finds such as artwork, composers, bpm and MusicBrainz and Discogs identifiers - not just the basic metadata such as artist and album. 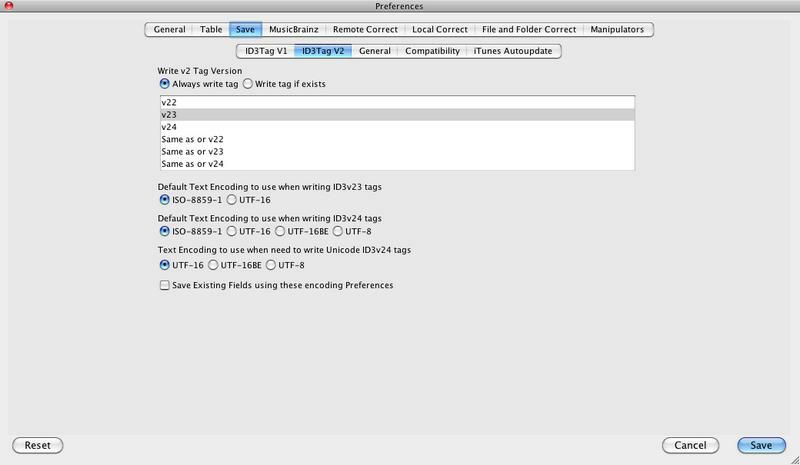 This also means you can edit your Aiff and Wav metadata not just with the Edit tab but also using the ID3 Edit tab. The ID3 Edit tab shows hows exactly how the fields are stored and also gives access to any additonal ID3 fields that are not mapped to a generic field in the Edit tab. We also make some improvements to single song matching. Single song matching occurs when a song has been not been grouped with any others songs or no match was found for the group of songs and user preferences allow Jaikoz to try and match each song individually. Because only one song is being matched any album containing the song is a potential good match but we have made some changes to find a match for an original album rather than a compilation whenever possible.